Abigail Bergman (Smith College, Class of 2018), Rebecca Nevitt (Wellesley College, Class of 1988), Charlotte Samuels (Smith College, Class of 2020), Eliza Cummings (Smith College, Class of 2017), Gabriela Kovacikova (Wellesley College, Class of 2014) and Cathleen Pruden (Mount Holyoke College, Class of 2016) will attempt a 40.4-mile (65 km) two-way crossing of the Catalina Channel in Southern California, starting on June 16th. 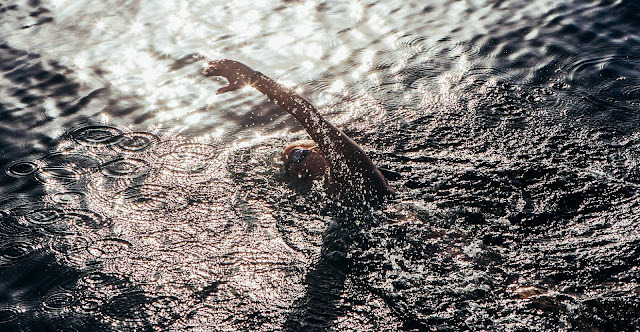 Bergman explained to Swimming World Magazine, "We are swimming across the Catalina Channel in both directions [mainland-Santa Catalina Island-mainland], as a statement of teamwork and empowerment for women everywhere. I am really excited to use this event to showcase how women can come together to do something we love and accomplish an extreme goal." The women are either student-athletes or marathon swimming graduates of the Seven Sister Colleges (Barnard College, Bryn Mawr College, Mount Holyoke College, Barnard College, Smith College, Vassar College, and Wellesley College). Bergman described the double crossing relay "As Seven Sister College students and graduates, we all believe in the power of women supporting women to achieve greatness. The six of us on this relay represent women of different ages, interests and geographical location, bound by a fierce love for challenge and passion for excellence that we developed at our respective colleges. We are embarking on this relay to be an example of empowerment; the empowerment found when women take on an incredible challenge as a team and work together, and empowerment via paying it forward and being a role model for those who want to dream big and fulfill their own goals." Their channel crossing will be tracked live. Photo above shows Bergman crossing the Catalina Channel on her solo swim in 2016 (read here). Note: The team finished their swim in 18 hours 4 minutes on June 16th (see here at 6 Women From 7 Sisters Go 40.4 Across Catalina).